Meet Ignacio Perez de Bartolome. If it doesn’t ring a bell, Coach Perez will. He heads Business Strategy at Sai.Coach, a 7-figure consulting firm for coaches who are serious about building their business. Tell us, do life coaches really struggle with their businesses? 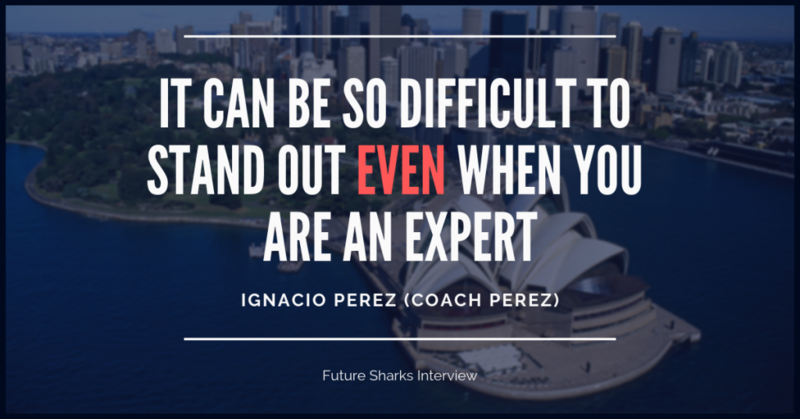 Ignacio Perez: What was once a niche has become a billion dollar industry. Life coaching has become an empty label generalising those who are passionate enough to make humanity’s advancement their main purpose in life. The problem starts when coaches try to put themselves out there. There is a lot of misinformation and scams that benefit from the goodwill and desperation of coaches. We (he is referring to the founder Sai Blackbyrn and him) were sick of it. We had had our dreams crushed one time too many by those promoting a magic-pill approach. It was then and there that we decided to bring integrity to coaching business development and created what is now Sai.Coach. Is having investors the only way to 7-figures as a coach? Ignacio Perez: No, getting external investment as a magic pill to growth is like getting a Ferrari to learn how to drive better. For example, my partner and CEO Sai Blackbyrn received $100,000 as venture capital for his previous company: it didn’t prevent its failure. I have come to realise having an abundance of cash without a winning strategy just speeds up the inevitable. 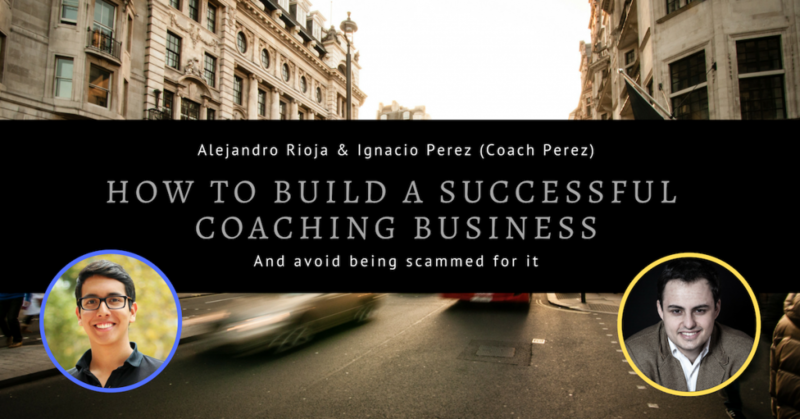 Nowadays, building a successful coaching business can seem impossible. There is so much competition out there and those who promise to help are likely misguided or worse, scammers. Sai and I spent most of our 20s chasing those who promised they could help. At the end of the day, it was promises and little more. We learnt a lot and from our colossal failures and big wins, so many people kept asking us for help that we started Sai.Coach. So, what is so wrong with most of the information online on how to build a coaching business? Ignacio Perez: Short answer: it’s based on fluff. There is no sound economic base to any of their claims. In fact, their suggestions are dangerous because they are based on consumer trends that are very short lived. For instance, back in April Facebook changed its ads algorithm and the next day the reach dropped to barely 2%. We knew this was going to happen and prepared our clients for it. I can only imagine the impact it had on solo coaches out there. And this is just the start of more restrictions on data flow and virality. If you think about it, any fool with a tool can set up a website, fake results obtained and preach his personal take on business development just for publicity. And this worries me. When you take a brand, especially a coaching one and try to fit a square peg through a round hole by applying a generic “success formula”, what happens more often than not is things start to fall apart. Coaching businesses are living organisms, fueled at the top by the personality and character of the coach. No two coaches are the same, so the strategies never should be identical. How do you prevent being scammed? Call them. If they don’t score 8/10 or above in value provided: run away. If they can’t explain how their strategy is applied in your case: run away. If you hear it, it is a sales scam: run away. Most importantly, I always say if something doesn’t make you feel comfortable: it is probably not a good idea. Don’t be afraid to challenge your mentors. As I told you, anyone can look good behind a screen, but no one can fake through a conversation! What is a great strategy to build coaching businesses? 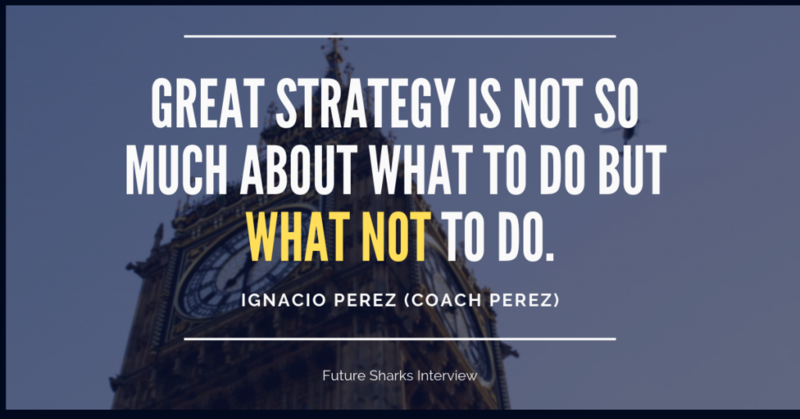 Ignacio Perez: A big misconception is that strategy involves taking whatever means necessary to accomplish a goal. This is certainly not true but you see it very often in entrepreneurs who, in order to grow their businesses, attempt to be on all social media channels available to them whilst sharing content with no coherent buildup or direction. The product is haphazard and the results are too. Great strategy is not so much about what to do but what not to do. In a world with endless possibilities but finite resources (including time) you must prioritise, but above all, you must leverage. For example, one of the most effective strategies our team has developed and refined over the years to launch coaching businesses successfully is The Trinity Launch Strategy™. It hinges on 3 elements: Price, Market and Product. 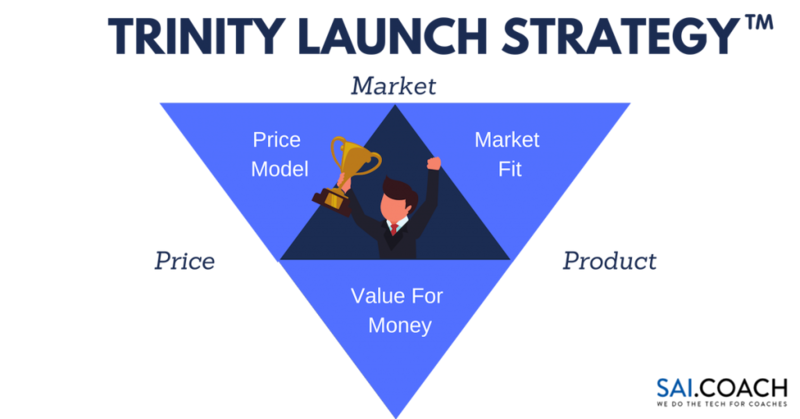 The success of any launch is down to getting a product that the market needs (market fit), at a price that the market finds reasonable (value for money), and doesn’t compromise future scalability (price model). Can you give us a practical example of the Trinity Strategy? Ignacio Perez: Sure, now that you ask, a client comes to mind… He is a man in his 50s living in Colorado, USA. It’s a very competitive environment there, thriving with entrepreneurs: it’s work hard, play hard. He came to us with more than 25 years experience under his belt in corporate America, including a bunch of Fortune 500 companies. He burnout and decided to take a break. His family who wished him well advised him to do something to keep active, so he would spend his evenings mentoring his entrepreneur nephew. He got addicted. Turns out that when he tried to put himself out there, no one seemed to listen. As most coaches, he learnt the ugly way how difficult it can be to stand out even when you are an expert in your field. Numbers are always against you from the start. Our team got to work following the Trinity Launch Strategy™ and began conducting large-scale market research using our own proprietary technology (custom built) and third-party solutions. We found entrepreneurs locally were between the ages of 22 and 27 and they all interestingly enough spent most of the day at local coworking spaces. Now that we had the market located, the next step was to create a product the market truly needed. We asked him to take a weekly-pass to a chain of coworking spaces ($55) and shadow different entrepreneurs throughout the week. He was to bring a notepad with him at all times and dot down anything that caught his attention. Whatever it was. In the meantime, our team researched and managed to locate the owner coworking chain. Once the week was up, our client sat down with me and we looked over his findings. It was fantastic insight. He had observed 15-hour workdays, no breaks, very little cross-communication, no daily check-ins but worst of all he found all these startups thought they had no competition. It became very clear without experienced guidance the youngsters would soon burnout like our client had done and come crashing down. Just like that, we had product-market fit (entrepreneurial burnout), and now just had to figure out the value for money and pricing strategy. These were accomplished by approaching the entrepreneurs in a language they understood: challenge. Our client propose they could achieve twice as much meaningful work and progress towards their goals whilst halving their work days through his help. He would personally coach them and aid their CEO in making this happen. If he was right they would help him turn his coaching into a program. If our client didn’t achieve this by Friday, he would pay the entire team’s coworking rent for the month ($900). Think of it from the startups’ perspective, if you are a startup you don’t want to waste a second breathing. In comes through the door someone with confidence and experience enough to be able to greatly simplify your life. If all goes well, the future suddenly looks bright. If it doesn’t, you at least get a month off the coworking space. What do you have to lose? By the end of the week, our client had the team sitting down in a large conference room to help us crack his coaching offer. We joined remotely via Skype and asked questions relating to the potential gains the team saw from our clients work. We asked for dollar figures as much as possible related to savings, opportunity costs and hidden benefits uncovered by our client. The total came out to be a very large number, at which time we asked them how would they see it viable to enrol our client for a quarter. They called their investor on the spot, having had a taste of the value at stake, and came back with an initial proposal which included an initial retainer, performance bonuses and profit sharing that quarter. We had achieved a tangible value for money . The only thing remaining was validating this pricing over a larger sample of the market to develop a robust pricing strategy. This was gotten at the end of that quarter after achieving superb results. At that time, our client gained the full trust of the coworking owner. It didn’t take much time for the owner to refer our client to his entire entrepreneur customer base. Needless to say, our client was fully booked. His total investment? $70 and good counsel. With time, he tweaked his pricing model and strategy with different startups which laid the success to the national success he enjoys to this date. What do you attribute the success of Sai.Coach to? Ignacio Perez: Caring. Both Sai and I come from a background where we heavily invested in personal development throughout our teens. We have met some of the most unbelievably talented coaches out there who never got the recognition they deserved, just because they never treated coaching as a business. We work every day to give a voice to those coaches who have it in them to change the world. How would you measure success in your role? Ignacio Perez: Client satisfaction, and that comes from results. Strategy is a beautiful position to be responsible for because you get to mark the direction and pace for clients. Then, it is up to them to be executed relentlessly, something our mastermind groups help tremendously in. I consider myself privileged to have such a vast number of remarkable coaches entrust their businesses to our insights. It is a dream come true to serve with integrity and passion. What is the best strategy advice you would give to coaches nowadays? Ignacio Perez: Great product ideas don’t come from whiteboards. If you want your coaching to stand out go out there and look for problems no one else is addressing, then the solution becomes your idea. Putting clients first is an integral way to grow, the difficulty comes when you start to grow. How then do you stay true to your origins and not compromise integrity? Learn more secrets to building online coaching businesses for free HERE. Don’t forget to share this with the world!